UltraISO for Windows 7 - an application designed to work with virtual disks, various archives and CD / DVD-images. The tool supports more than 30 extensions of electronic emulated objects, is able to work with multivolume files and generate checksums. The program is a cross-platform solution and is able to offer the user a huge amount of recording and emulation functionality. 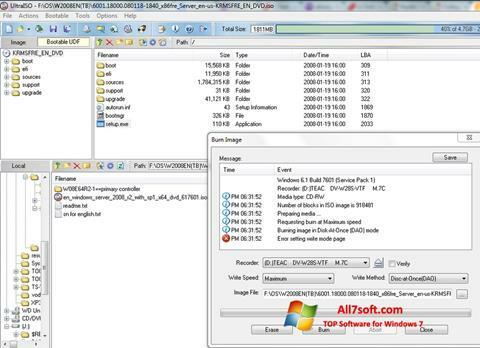 You can free download UltraISO official latest version for Windows 7 in English.